Learning to curl the edges of your mouth up slightly can be SO HARD! 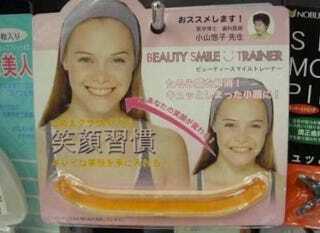 Thankfully, Japanese inventors have come up with a solution: The Beauty Smile Trainer. Your unnatural grimace will be gone in no time!